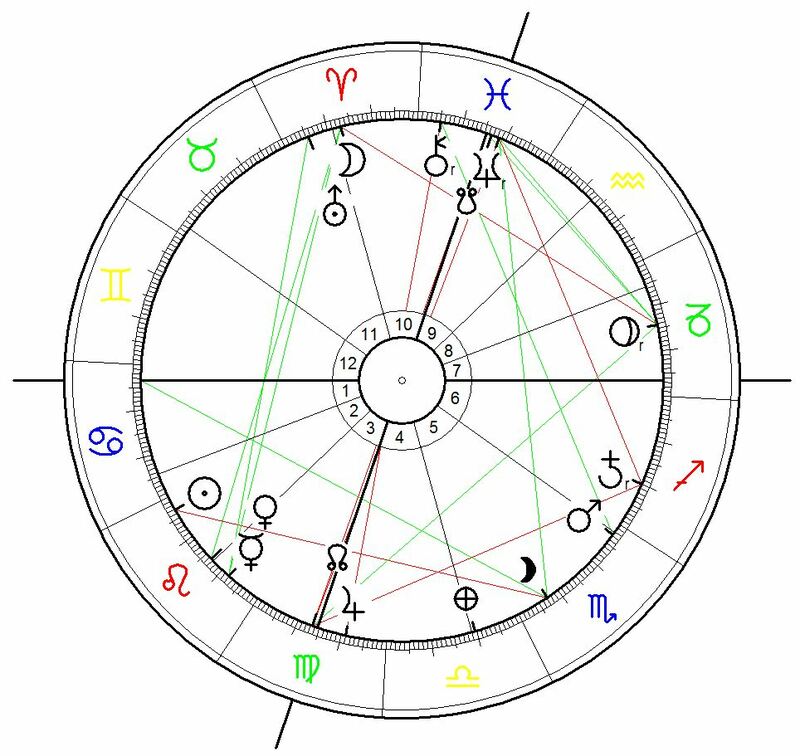 The Sagamihara Stabbings were carried out in the middle of a heavy series of terrorist attacks worldwide during the Mars transit in the 3rd decade of Scorpio after its retrograde motion between 17 April from 8° Sagittarius to 23°Scorpio on 29 June 2016. I cannot be excluded that the attacker felt stimulated and inspired to carry out the plan for his attack by the war against terrorism between the Nato countries and their self-created islamistic enemy. Astrogeographical position of the City of Sagamihara for morphogenetical field level 1 which explains why the tension in the global morphogenetical field affected this particular place: Sagamihara is located at 21° of earth sign Virgo exactly occupied by the position of Jupiter in house 4 the house that indicates the ground below the town. The astrological degree 21° Virgo is directly related to Moon-Uranus topics. The second coordinate falls on 15° and right in the center of water sign Scorpio in fact the the most important astrological sign in resonance with the topic of physical as well as mental disability. Astrogeographical position of the care facility for morphogentical field level 4 which describes the atmosphere of the facility itself: One coordinate lies in between solid, fixed water sign Scorpio the sign of trauma and disability and dynamical, mental fire sign Sagittarius sign of playgrounds, thinking, luxury, harems and hell. The 2nd coordinate lies between emotional water sign Cancer the sign of emotional identity and authenticity and highly energetical, magnetic fire sign Leo the sign of emotional self-expression and self-centeredness. Astrological chart for the Sagamihara stabbings on 26 July 2016 at 2.30 in Sagamihara, Japan. But the astrological chart shows very different topics than the terrorist attacks in the other countries. The Cancer ascendant, the Moon conjunct Uranus in the constellation of emotional disgust in house 11 the house of protest, escaping and self-liberation as well as Jupiter the planet of growth, enjoying, insights in house 4 the house of emotional authority and identity all relate to topics of the attacker own emotionality. And so does the Sun in Leo the sign of emotional self-expression in house 2 in a constellation of trying to dominate territory, social values and ones own self-esteem in social hierarchy. In combination with these constellations the position of Pluto in house 7 reveals the fear of facing the disabled or say the attackers own handicaps projected onto their situation. Just like the Moon-Uranus conjunction and the Moon in house 11 anyway, Jupiter around 21° Virgo in house 4 in a constellation of celibacy and Pluto in house 7 show someone feeling emotional and physical disgust and fear of life, sexuality, human smell and touch. The moon-Uranus conjunction is known for its relation to compulsive washing, scratching, syphillis and emotional trauma through sexual abuse and violation. Rahu the North Node of the Moon was located right on the IC the beginning of the fourth house reflecting the fact that the attack took place at the victim`s home. in regard to the attacker this position suggests that the actual aim of his attack was to explore his own emotional identity. Neptune on midheaven is known as a constellation that reflects minorities, weaknesses and the stoning of scapegoats.